On Saturday 2nd April most of the team headed down to Daventry, not for a race but to support our sponsors Leisure Lakes Bikes and Specialized at a demo day organised by the former. Our brief was simple, ride with customers of the store who took bikes on demo rides and chat about bikes and training. What better way to spend a Saturday! The more South we went the brighter the skies and by the time we rocked up at Leisure Lakes in Daventry the sun was starting to break through the cloud cover. Not wasting any time we got into our cycling kit and took our bikes around to the back of the shop where different suppliers were hanging out their kit for the public to try. 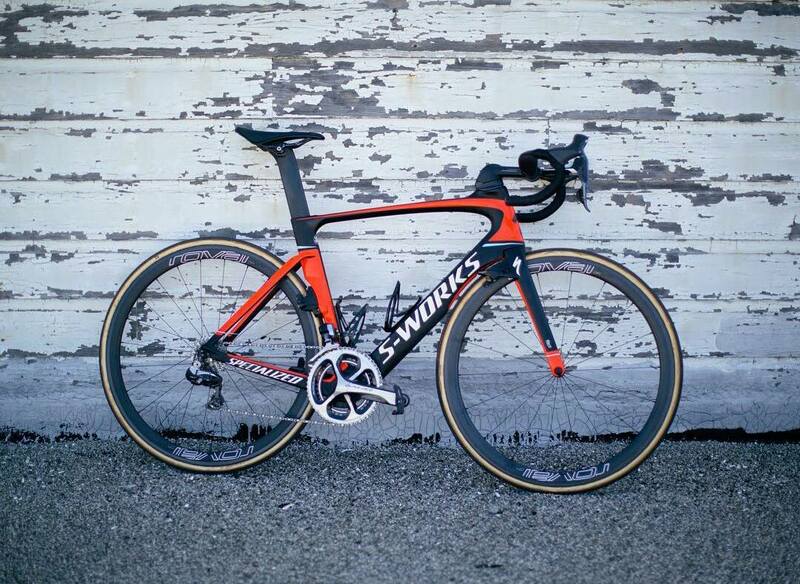 Of course we bee-lined it to Specialized and was greeted by the sight of Tarmac Experts running Roval Rapide CLX 40 full-carbon clinchers, Diverge Comp Carbons running AXIS 4.0 Disc wheels and the star of the show, the Venge Pro ViAS running Roval CL 64 tubeless ready carbon clinchers. Apart from the colour scheme the ViAS looked like it meant business, like a rocket ship to be honest. We did not have much time to admire bike before the first demo ride of the day went out. Luckily there were so many of the team we could do it in shifts so while the first group went we strolled through the other stalls but stopped at the SRAM one for them to replace Craig’s rear brake. We also had a chat at one of our other team sponsors OTE. The chat at OTE soon went from their yummy protein bars to their performance centre in Leeds. With facilities to do altitude training in their altitude chamber (the only commercial hypoxic, multi discipline chamber in the north of England, capable of 5,750 metres and up to 30 degrees temperature) it can be a real benefit to athletes from a range of sports. As a numbers geek I think a visit is on the cards soon! With the performance centre and the ViAS in my mind it was our time to go out with the second demo ride of the day. The route took us along a the busy A425 before turning left onto a circuit where the roads were much quieter. As we rode we chatted to riders on demo bikes. I was particularly interested in how they found the ViAS. It sounded amazing and apparently it went well. Once back at the shop Gareth was the first of the team to try out a ViAS. Ste second and then Neil and I gave it a go. Oh My Word!!! I think I have found the one I love! Although not an S-Works, my Tarmac Expert has great power transfer. You press on the pedals and the bike shoots forward. The ViAS is something else though. When you press on the pedals it’s almost like the bike taunts you asking if that’s all you have. It wills you on pressing harder and reward you with instant power transfer and acceleration. With no groups going out Neil, Gareth and I decided to just head out on our own for a bit of fun. Even with a slight headwind we were cruising at 28mph! The handling was very direct and although Cav said the brakes were not that great, for me they were pretty good. Once we got onto the small circuit we really opened and with that the smiles got bigger and bigger. Stefan sent us this pic of the rocket-ship in proper colours! She is a beauty! Unfortunately I punctured and had to be “rescued” by Leisure Lakes’ support van but not before I completely fell in love with the bike. Yes our bikes’ fluo green and blue colours were probably not on the top of my chosen colours and I’ve not really turned a pedal in anger however the impression I got from the bike was that it was a thoroughbred racing stallion! And with that it ended my day on the bikes but I left very impressed with Specialized’s version of a rocket ship. 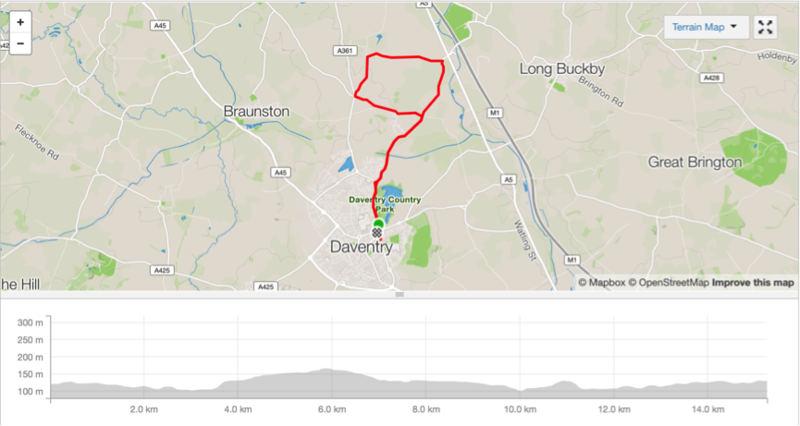 I would like to say a massive thank you to Leisure Lakes Bikes for inviting us down to Daventry for the day. Also to Specialized and Stefan for letting us loose on the rocket-ships (aka ViAS) and OTE for feeding us protein bars and the good chat. This entry was posted in Product Review and tagged altitude chamber, Billy James Sewart, Craig Battersby, Diverge Comp Carbons, Gareth Balshaw, hypoxic chamber, John Myburgh, Leisure Lakes Bikes Daventry, Neil Wood, Nick Pilling, ote, Paul Beech, Roval CL 64, Roval Rapide CLX 40 Carbon Clinchers, Si Deplich, Specialized, Specialized Tarmac Expert, SRAM, Stefan Fuchs, Stephen Feeney, Venge Pro ViAS. Bookmark the permalink.